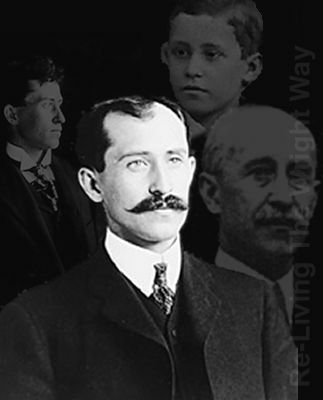 Today, August 19, is National Aviation Day, observed each year on Orville Wright’s birthday. Orville and his brother Wilbur are credited with inventing the first airplane to achieve powered, sustained, and controlled flight. All but dropped from the Wright Brothers story, though, is the contribution Katherine Wright, their sister, made to aviation history. As I reported in a feature I did for National Public Radio in 2003, sadly, it was Orville himself who tried to scrub Katherine from history. Let’s put her back. Katharine ready to fly with Orville in a Wright Model HS, 1915.